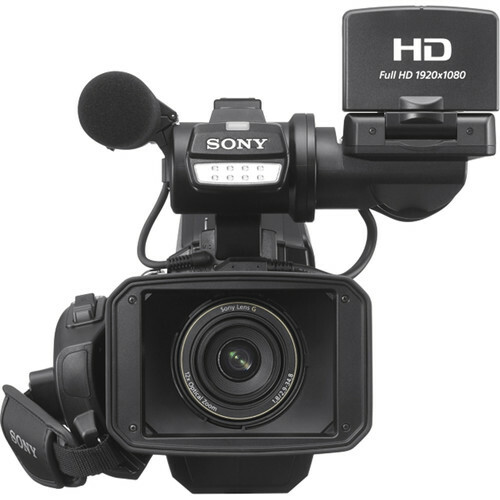 Sony HXR-MC2500 provides a professional look and shooting style which is ideal for weddings, corporate communications or education facilities. While light and easily portable, its full Shoulder Mount design means your clients immediately know you mean business. 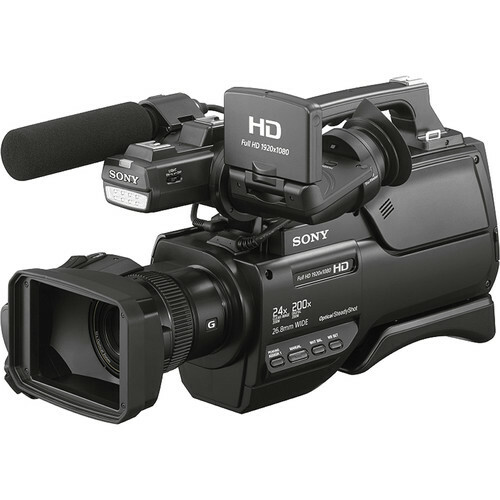 Workflow flexibility is enhanced by the ability to record directly onto a removable memory card or a 32GB internal flash memory in High Definition or Standard Definition. With this combination of the internal flash memory and memory card allows recording functions such as “Relay” and “Simultaneous” are available. 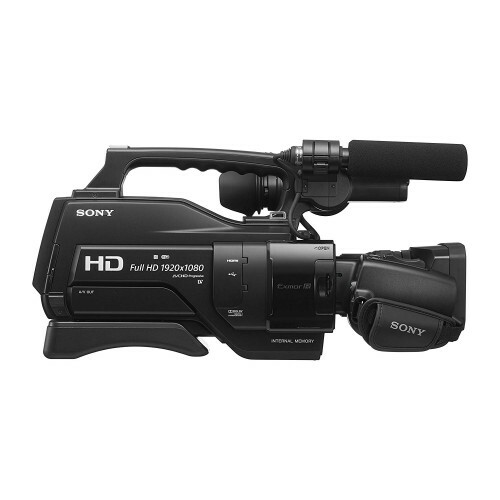 When Sony’s L-Series InfoLithium battery NP-F970 (optional) is used, the HXR-MC2500 is capable of continuous long recording of up to 14 hours– perfect for those occasions where you don’t want to stop recording, such as weddings or business conferences. The HXR-MC2500 is designed to be the ideal, entry-level match for almost any type of non-linear workflow. 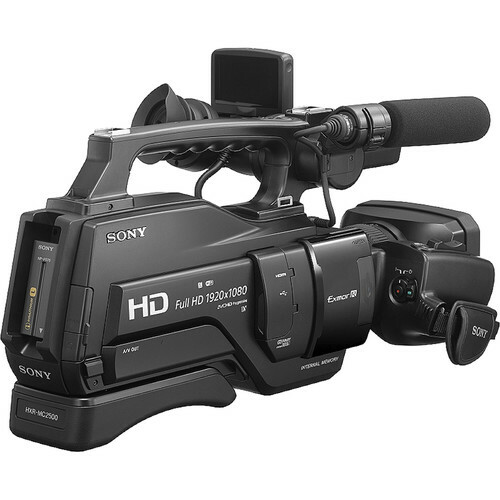 It’s an exceptionally cost-effective production package for DVD or Blu-ray content, one that’s flexible enough to express your creative ideas and meet your client’s requirements.Depending on your region, separate models are available offering recording frame rates of 50p, 50i 25p Full HD and 50i SD (PAL model), or 60p, 60i, 30p, 25p Full HD and 60i SD (NTSC model).Support for Sony's professional L-series battery line means up to 14 hours of battery life is possible when using the separately available NPF-970 battery.